The Minnesota Real Estate Team of RE/MAX Advantage Plus was founded by Ryan O'Neill in 2005. 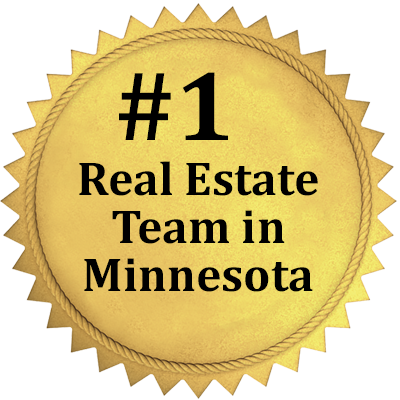 The team continues to be the #1 Selling Real Estate Team in Minnesota (for any real estate company) every year from 2006 through today. In 2016, the team closed over 1575 transactions and 385 million in sales. And in 2017, the team closed over 1700 transactions and 435 million in sales. In 2013, 2014, 2015, 2016 and 2017, the team finished as the #1 RE/MAX Team in the United States and World in both closed transactions and overall sales volume. As a team, we take great pride in working with clients at his or her own pace. There is never any rush or pressure when you are working with a top agent on our team. Our goal is always to make the buying and selling experience an outstanding one for each client. In addition, our goal is always to produce the best results for each of our valued buyers and sellers. We have specialists in every facet of the real estate business all over Minnesota and Wisconsin. Perhaps you are looking for a luxury home listing agent. Maybe you are first time buyer and you would like a top agent to guide you through the process. Or you are a real estate investor looking to build wealth through real estate. Maybe you are looking to find a neighborhood or town specialist in the area you are looking to buy or sell. Or a Realtor with a strong construction and engineering background. Whatever your personal real estate goals may be, we will be sure to put you in touch with the agent on our team that bests suits your needs. With over 100 agents on the team from all over the state of Minnesota, we are here to help and be a resource for all of your Minnesota and Wisconsin real estate needs. Lastly, our team offers some outstanding real estate educational opportunities. We host two weekly real estate radio shows: Minnesota Home Talk, Saturdays 7-8 AM on ESPN, AM 1500 and The Minnesota Real Estate Show, Saturdays 10-11 AM on Twin Cities NewsTalk AM 1130. And we also offer free monthly seminars on real estate investing and buying your first home. Agents on the team are licensed Realtors in the State of Minnesota with RE/MAX Advantage Plus. Don't hesitate to call or email us today with any or all of your real estate questions or needs. Cheers!